There is growing attention to the intersection of poverty, mental illness, and criminal justice. Just last week, Vox published an article describing how the criminal justice system has become the default mental health system in the United States. And Vera recently released The Human Toll of Jail, featuring a story—later shared on Vice News—about how Chicago’s jail has become its largest mental health facility. Research estimates that approximately 15 percent of men and nearly one-third of women in jail settings have a serious mental illness and that rates of serious mental illness in state prison populations are at least two to four times higher than community populations. But despite increasing recognition that the number of people with serious mental illness in the U.S. criminal justice system has reached unprecedented levels, existing interventions have done little to reduce these numbers. People often assume that there is a direct relationship between mental illness and crime: the symptoms of mental illness lead to criminal justice involvement, and connecting people to mental health treatment will prevent future justice system involvement. But a growing body of research suggests this is not the case. Indeed, researchers across several fields have demonstrated that the strongest predictors of recidivism (such as homelessness and criminal history) appear in people with and without mental illness. Therefore, a more complex model is needed to account for the relationship between mental illness and crime—one that is sensitive to the social determinants of ill health and criminal activity. 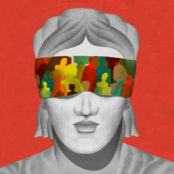 This model suggests that interventions should target not only mental illness, but also the broad set of individual and environmental risk factors—such as addiction, medication adherence, stress, and trauma, as well as housing, education, and employment needs—that put people with serious mental illness at greater likelihood of running afoul of the criminal justice system. Put simply, people with mental health issues need more holistic interventions and they need them earlier, before they are trapped in a cycle of criminal justice involvement. Vera’s new report, First-Episode Incarceration: Creating a Recovery-Informed Framework for Integrated Mental Health and Criminal Justice Responses, considers how to reshape the way mental health care gets delivered, particularly for people who are in contact with the justice system for the first time. We propose a “first-episode incarceration” framework that is modeled on promising approaches in the mental health field for people experiencing a first episode of psychosis. There is an accumulating body of evidence demonstrating that early intervention and coordinated, holistic care in the treatment of psychosis offer real promise for clinical and functional recovery. 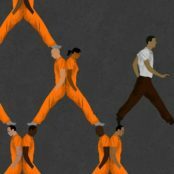 A first-episode approach to incarceration is similarly rooted in prevention and early intervention, evidence-informed care, and recovery-oriented treatment that empower people to reconnect to valued social activities such as employment and schooling. This framework imagines an integrated criminal justice and mental health system that is proactive about providing comprehensive support and services to people as soon as they enter either system. 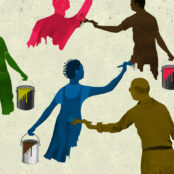 It aggressively commits to practices capable of helping people with serious mental illness not only avoid criminal justice involvement but also improve their lives overall by expanding social and economic opportunities. With new possibilities created by the Affordable Care Act, the time is now for innovative, cross-sector collaborations and policy recommendations that can truly prevent or disrupt the cycle of criminal justice involvement.